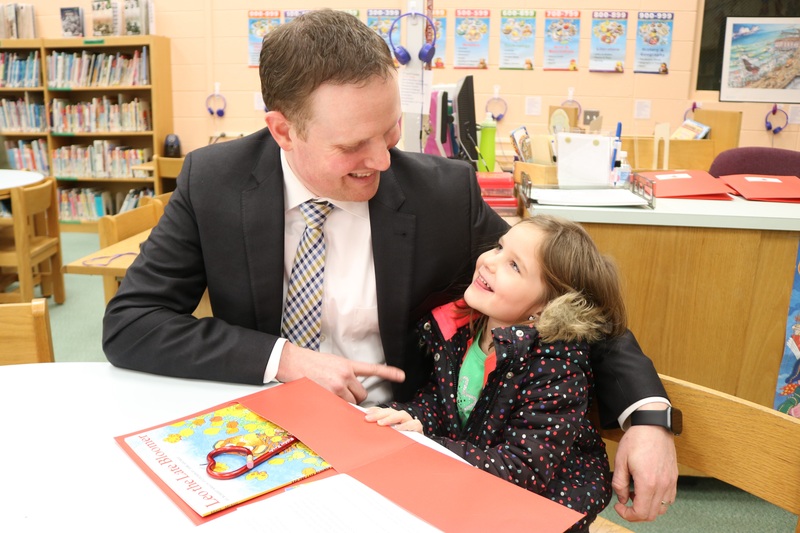 Nate Petrinec, of Ocean City, and his daughter, Grace, 4, enjoy a "Raider Ready" session at the Ocean City Primary School. 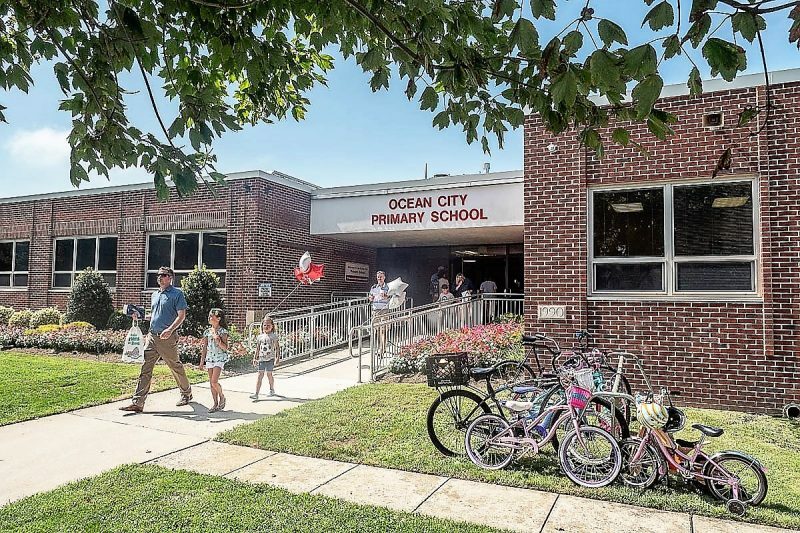 Grace Petrinec had no problem naming her favorite part of “Raider Ready,” a new program at the Ocean City Primary School designed to prepare children for kindergarten. “I like the Legos the best,” the 4-year-old Ocean City girl said. 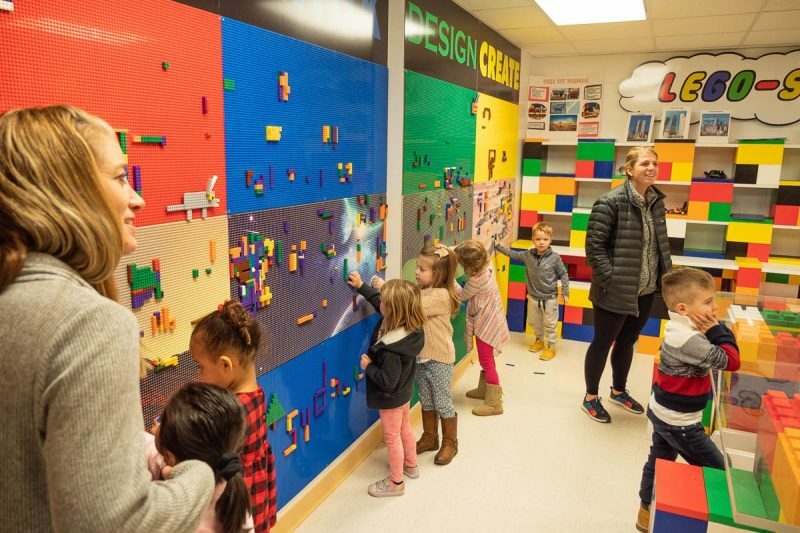 In addition to Legos, there were plenty of other activities to do during the event Tuesday night hosted by the district for parents and children. When it came to starting kindergarten, Grace said she was most excited about riding the bus. “Raider Ready” is geared toward alleviating fears of the unknown, give parents and guardians some guidance and helps both children and parents acclimate to the new phase of their lives, school officials explained. 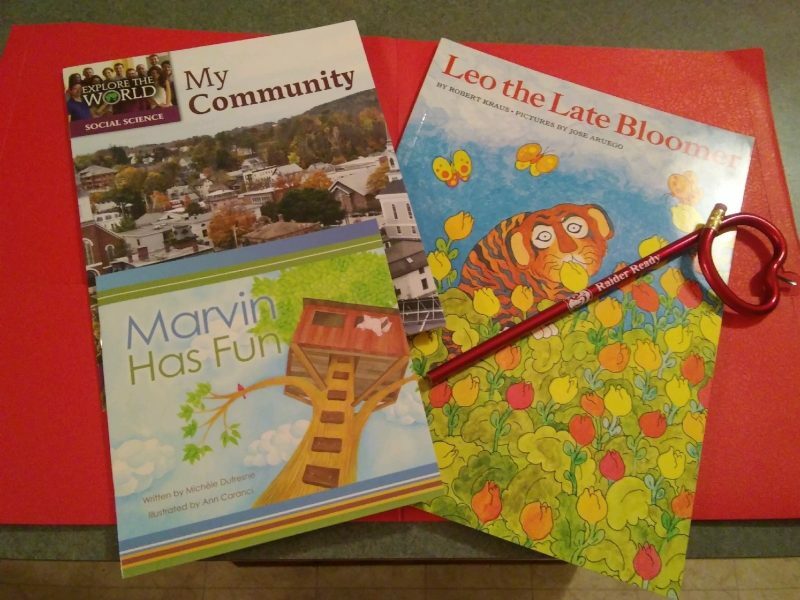 The focus of the session was “Reading and Social-Emotional Learning.” It was the second of six sessions the district will host for children going into kindergarten. 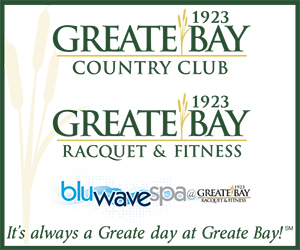 The next session will be in February and will focus on technology. Children and their parents or guardians listened as a teacher read a book to them. They also had snack time. Primary School Principal Cathy Smith told the room, filled with parents and about 50 children, that the program is very worthwhile to prepare the children to enter school. Schools Superintendent Kathleen Taylor initiated the program because of what she has seen. During spring kindergarten orientations, she took note of some students being a bit fearful and felt that the district should do more to alleviate some concerns or fears of the unknown. “The first encounters with the school shouldn’t be a time of anxiety,” she said. The sessions, Taylor said, help parents as well as their children. Taylor also said the district will take parents’ feedback and expand and change the program. She believes the long-term effects of the program will be very positive. 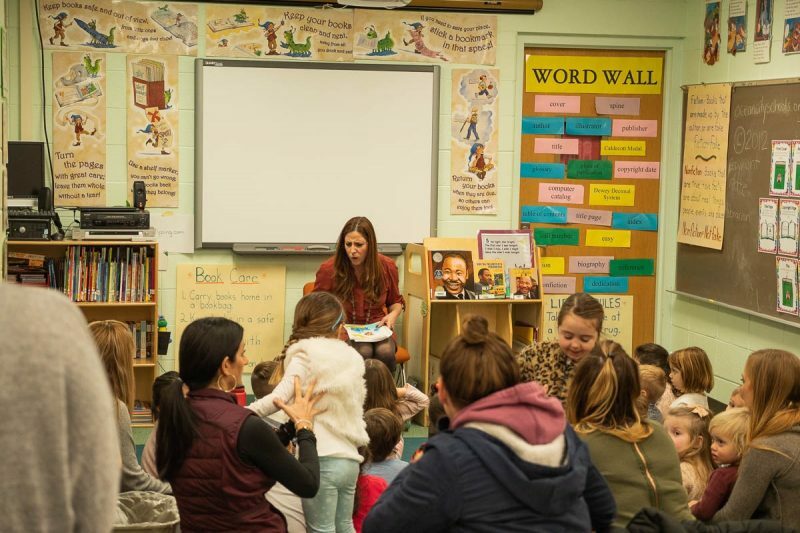 Children and their parents listened to the district’s reading specialists, Jen Gatto and Kristen Morey. Gatto began the reading program with the “Reading Aloud” portion. She read “Leo the Late Bloomer” to attentive children and their parents, who sat with them in a circle around the teacher. In addition to engaging the children with her reading techniques, Gatto offered some reading tips to parents. She recommended starting off with books that can be read in one sitting and also selecting books that the parents like because that will translate into a more fulfilling reading experience. Morey walked around the tables and spoke about “Emergent Reading” and explained ways to teach children the love of reading before they could actually read by simply reading to them, pointing to words on a page, reading books that rhyme and other techniques to keep them engaged. Jennifer DeVlieger has taught kindergarten at the Primary School for six years. She said she is excited about the “Raider Ready” sessions because she sees that they could ease a child’s fears. DeVlieger looked around the Lego room where children were laughing and making friends with each other. Parents were also chatting with other parents. “They are already getting comfortable,” DeVlieger noted.